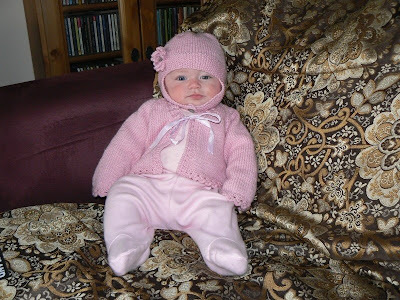 We love to knit and crochet for babies. They’re small projects that we can usually finish before our attention starts to wander. And babies look so adorable in handmade garments. 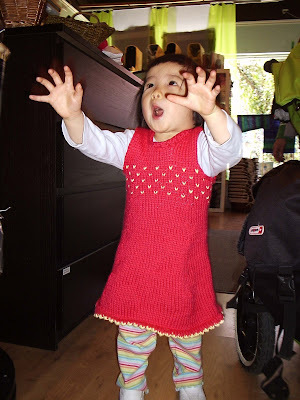 Millie’s mom Ingrid knit the dress. Remember Ingrid, the Rowan Lady? The yarn is the ultra soft BSA dyed organic cotton, we have lots of colours hanging on our BSA walls. 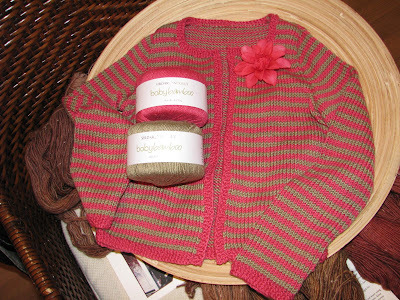 She used Sirdar Baby Bamboo for this one. Love the colour combo. 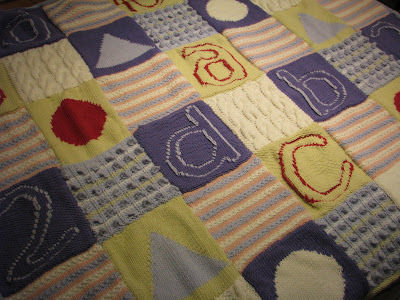 The design is by Louisa Harding, from her wonderful book, The Magical World According to Miss Millie. This one is sure to become a family heirloom. This entry was posted on Monday, May 26th, 2008 at 11:48 pm	and is filed under Uncategorized. You can follow any responses to this entry through the RSS 2.0 feed. Both comments and pings are currently closed.